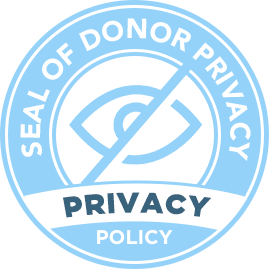 When you grow up in a Jewish Community, go to Jewish Day School, and have a grandfather who is a prominent Rabbi in the Upper East Side of Manhattan the last thing you expect is for a short 10-day trip to totally shift your Jewish identity. When going on the Birthright trip was presented to me, I thought it would be fun; I would be going with my best friends, my sorority sisters. I figured we would have a fun experience there and that was it, the same way you have fun when you go on any summer trip. What I didn’t expect was that this wasn’t simply a 10-day trip. It’s actually an experience that happens and then it coexists with you forever as you take that experience with you wherever you go. 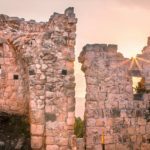 Birthright Israel as a whole completely shifted the way I viewed my past, present and future identity as a Jew. Allow me to explain. Growing up I attended a Jewish Day School from preK-8th grade. It was always something that I did and that was it. And at the time, I didn’t really realize how lucky I was to go to until I transferred to a secular high school. The distance spoke to me; it set precedent to a theme that would find itself in me once again. Often times it’s hard to appreciate something when it’s just there, the same way I’m sure it’s hard for a fish to appreciate the water it’s swimming in until it knows what it’s like to not be in it. On the Birthright Israel trip, meeting the Israeli soldiers was truly eye opening. My pre-trip perspective was that Israelis – of all ages – were so starkly different than me. Their society runs far different than the Jewish bubble I grew up in. But because of this trip I quickly realized these Israelis were just like me, not strict regimented people who I couldn’t relate to. Seeing what these soldiers sacrificed day in and day out for their country completely shifted how I felt about them. No video I could watch or story I could have been told could replace what I felt being actually there. Their loyalty to the State of Israel is beyond anything I could have imagined. As an American, I can appreciate the sacrifices they make being soldiers and the fact that I don’t have to. It made me come home proud to not only be Jewish, but to be Jewish and American. I also realized the spirituality of connection, that spirituality isn’t just confined to a siddur or synagogue. It’s so much more than that. There’s spirituality to how a group of people from so many different places can come onto one trip and realize no matter how different we may appear to be on the outside we all have the same spirit on the inside. 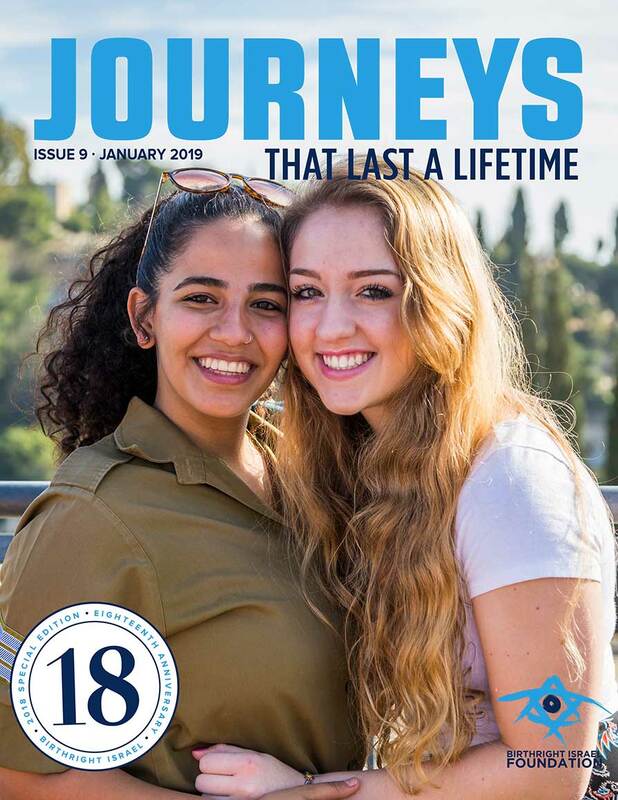 The trip does this amazing job of blending together so many different aspects of what it means to be Jewish, and what really sparked something in me was how these Israeli soldiers were integrated into the trip. 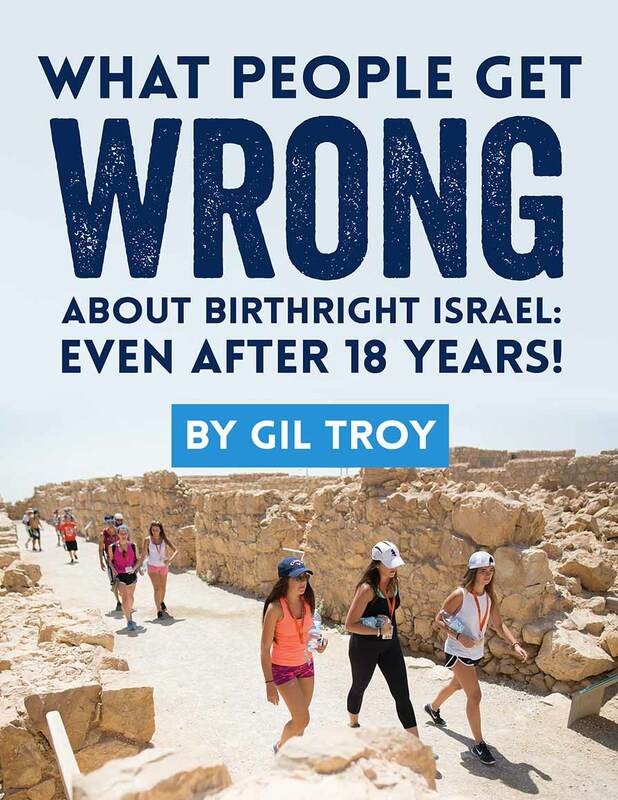 Birthright Israel does an amazing job of opening our eyes to see how much we have in common with people and how important it is to appreciate preconceived opinions but not to take them as a whole. Moving past those stereotypical perspectives I had, honestly furthered my connection to the country. I realized my stereotypical perspective was not based in reality. Only being there with them through a Birthright Israel trip could have shifted the way I see Israel. When I got back home from the trip I felt something in me shift. I realized that growing up as a Jewish girl was an honor. My past felt more important to me. It made me also want to step up how I currently engage in Jewish life. It made me want to shape my future. After I got home I knew I had to be more involved in Hillel and was inspired to run for president of Hillel and be a leader on my campus. 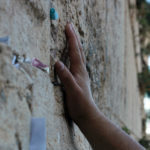 I wanted to do this because just as the Israeli soldiers shifted my perspective on what it means to be connected to Judaism, I wanted to act similarly and help shift the perspective of what it means to be Jewish on my campus. 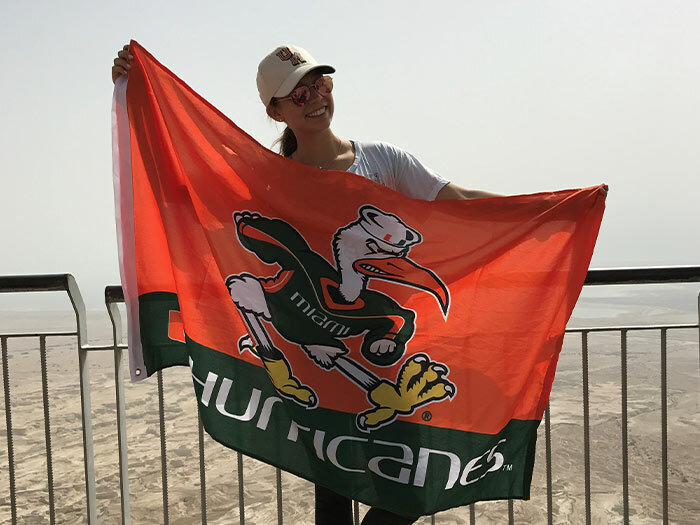 I am honored to share I was elected as first female president of Hillel at the University of Miami and it is incredibly fulfilling to be so. And it’s all thanks to what Birthright Israel opened up for me. When I walk down the street I think of Birthright, when I’m in synagogue I think of Birthright, when I make a choice, trivial or nontrivial, I think of Birthright. I still stay in touch with the Israeli soldiers through group texts and Facetime. I had the honor of hosting one of them in my apartment last month. Omer came to visit my sorority sisters and me in Miami and we took him to a University of Miami football game with my entire group. 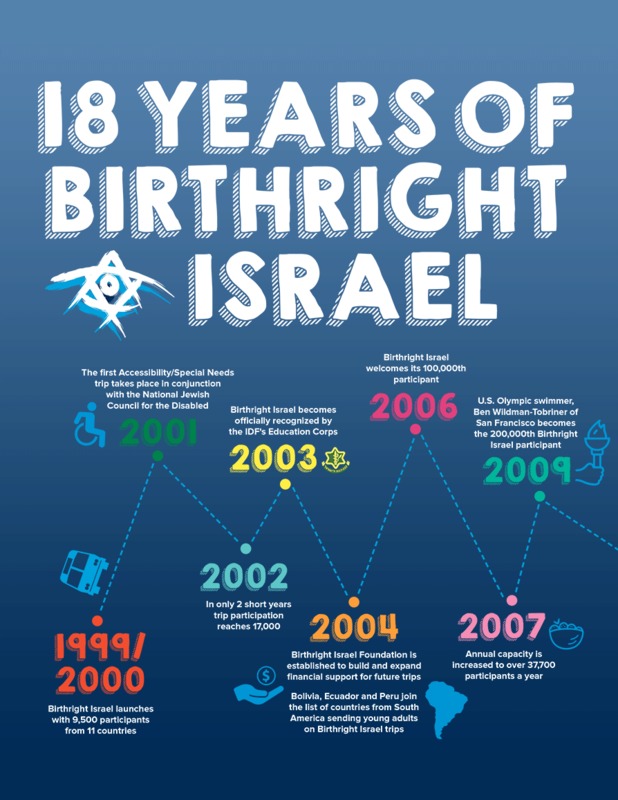 Birthright Israel is not just a program. The trip is hard to properly put into words. 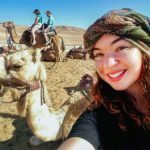 Yet here’s my attempt: Birthright Israel is not just an itinerary; it cannot be read from a piece of paper. Sure, you have a schedule you follow and visit all the important places. But there’s nothing that prepares you for the emotional experience that comes hand in hand. I think about other girls like me, who had an incredible Jewish upbringing but could maybe be taking it for granted. Or American Jews who falsely believe Israel and its people have nothing in common with their culture so they just do not entertain slight exploration of visiting our homeland. It scares me. 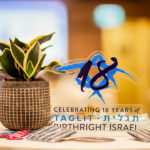 But, I have incredible hope because of the donors at Birthright Israel Foundation who invest in our present and future. Because of you, people like me can see how lucky we really are to be Jewish and that is something I am forever thankful for.